This watch has quickly become a favorite among the many pilot's watches that we've seen, and here's why. First, the watch is a perfect size at 42 mm in diameter. 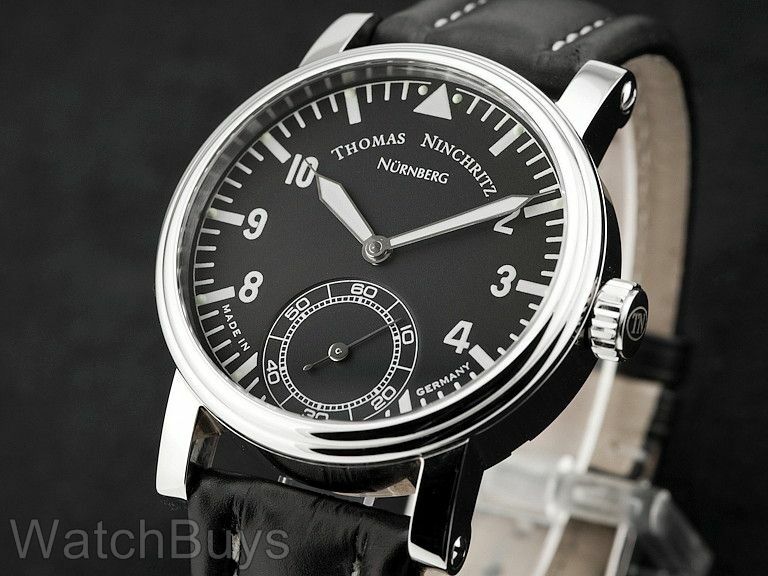 Next, Thomas Ninchritz has some of the best dial designs in the business. 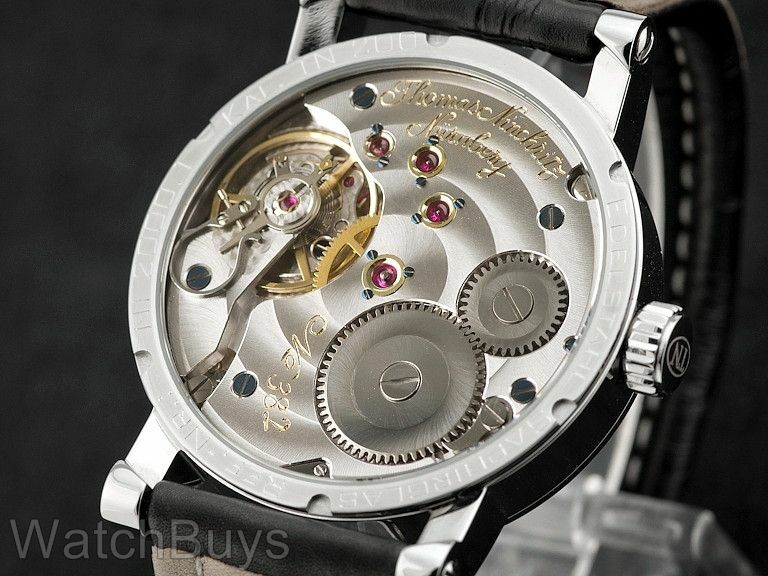 And lastly, where have you seen a pilot's watch with the type of movement finishing and construction shown in the picture above In this pricing category? 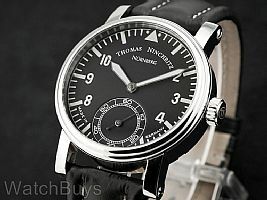 Quite simply, this is a connoisseur's watch with a German flieger design. The German case is in stainless steel and is polished by hand. The dial is matte black, and features Arabic numerals and the traditional German triangle marker at 12. Both the hands and markers are coated with SuperLuminova for night legibility. Black strap with contrast white stitching which is attached by screws and features an engraved tang buckle. This watch features luminous hands, and lume dots on the hour markers as well as adjacent to the triangle at noon. This is a pilot's watch that will stand out in any collection.